DID YOU KNOW YOU LIVE IN AN EU ‘REGION’? Remain MPs are always playing down any talk of the EU becoming one over-arching superstate, with countries being divided up into regions of the ‘United States of Europe’ (USE). The reason they do this is political. The British people do NOT want to be citizens of a superstate, ruled from Brussels. Even many Remain voters do not want this. Remain MPs and all the largest Remain campaigns know this, so they deny it will happen. “Ever closer union” has forever been enshrined in the EU ideal, back from the first Treaty of Rome. Since then it has gone through minor changes of working, but the intent has always been clear. Since the late 1980s the EU has been using its own system for dividing up the countries of the EU into regions. In 2003, this was made into a formal Regulation of the EU Parliament and the EU Council. The highest level is called ‘NUTS 0’. This is its name. We kid you not. If you live in the UK dear reader, in fact you live in EU Region UK. There are 104 regions at NUTS level 1 across the EU. The UK has been allocated 12 of these. See below for where you live in EU terms. So let’s take an imaginary reader called Diane who thinks she lives in Chorley in Lancashire. In fact she lives in EU NUTS Region UKD, which includes Cumbria, Cheshire, Greater Manchester, Lancashire, and Merseyside. The EU has of course gone further, and sub-divided these regions for adminstrative purposes. Below is the map of these secondary classifications, known as ‘NUTS 2’. 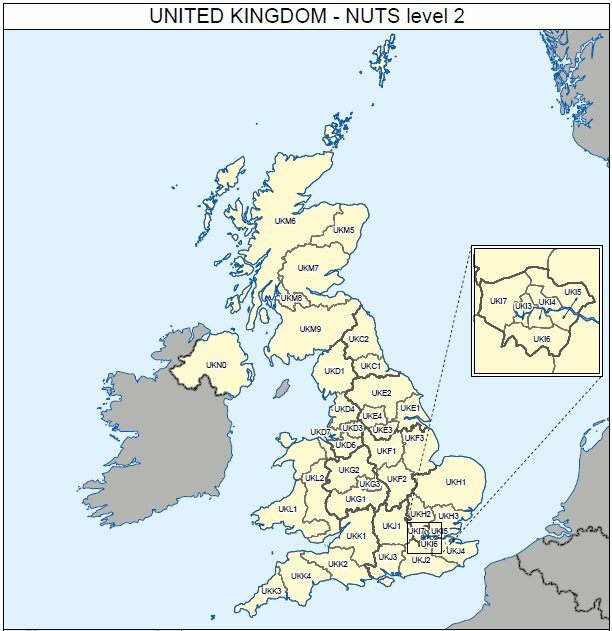 The UK has 42 sub-regions at NUTS level 2. But where does ‘Diane’ really live? Let’s go back to Diane, our imaginary Lancastrian reader living in Chorley. Well, in EU terms Diane actually lives in EU NUTS 2 sub-region UKD4. There is of course a third sub-division, called NUTS 3. There are hundreds of areas at EU NUTS level 3. So if Diane really wants to place herself even more precisely, then she lives in EU NUTS 3 Area UKD47. Why does the EU have this EU Regions system? The official response from the EU is that it is necessary to breakdown countries into roughly equivalent blocks for statistical purposes. 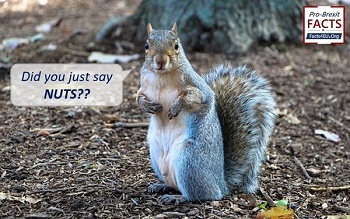 It is perfectly true that the EU currently uses its NUTS system for statistical purposes. Nonetheless, we have never yet seen the EU do anything other than advance its objectives by stealth. In the end, their objectives are clear from the Treaties. They wish to create a United States of Europe, governed from Brussels. This system of breaking down countries into EU ‘units’ is a step along that road. For our imaginary reader, (Diane from Chorley, Lancs), to find herself living in EU NUTS district UKD47, is a chilling step towards the kind of structures created by another empire which we had to fight and defeat in the Cold War. If you found this article interesting, perhaps you could support our work – particularly our appeal to cover the costs of our lobbying of 639 MPs yesterday? Quick and secure payment methods are below. Thank you. Thank you. It is indeed a mighty big file of 'districts'. It also demonstrates that, regardless of their promises, the EU 'main' parties are 'all in it together' as the level 1 districts are also the rationale for the 'regional mayors' (and associated bureaucracy) imposed regardless after being rejected as unnecessary in regional voting. The EU machine must march on, aided & abetted by our 'establishment'. You won't be surprised to find that these regions also participate in (yet another) EU regional representation body (too early in the day to look up the right name) within the EU determining how EU policy can be embedded in their 'regions'. Representatives are 'nominated' by their local authority to attend. I doubt that anyone who does not believe in the projekt would ever be 'invited' to attend. Verhofstadt often presides. It also helps to explain why so many authorities support the EU. They see increased 'power'for themselves, though that is only an imposing authority, plus access to the EU gravy train. Can you see what it is yet? The tentacles are deeply embedded in our institutions now. In terms of the UK as a country, it also helps ensure that we, as a country, would be unlikely to escape. We've seen the start of this with 'leaders' of various regions, eg Scotland, London not accepting the result of a nationwide referendum where the answer was not what they wanted. When we voted to leave, not only did we know what we were voting for, we also knew what we were voting against. Immensely scary! Should we call this the United States of Nuts, then? Including a hammer in its flag would be highly appropriate on many levels. Not4EU - your last sentence 'When we voted to leave, not only did we know what we were voting for, we also knew what we were voting AGAINST' is a powerful statement. In stark contrast to the blase and truly terrifying ignorance of Remainers, who seem to view the EU as some kind of glorified 'Club Med', Leavers were, and are, in touch with the frightening reality and in full possession of the grim facts. We know far more than the EU and the Establishment would like us to, and much of this is due the existence of this very website! I note that there is no area UKA or UKB on the diagram. I also recommend this publication by Dr Rath Foundation: "The Nazi roots of the Brussels EU" - of course replace Nazi with Socialist, then it is abundantly clear why the direction of travel of the EEC/EU is a one way street to hell again in Europe. In that Tusk is correct for a change. I've just read the Facts4EU PDF which has been sent to all MPs. While it contains nothing with which I disagree, I wonder if one or two points would carry extra weight if they were dealt with slightly differently. For example, the slowdown in GDP growth since 1993 becomes more obviously linked to Single Market membership if the GDP per Capita measure is used. Between 1966 and 1992 (26 years) GDP per capita growth averaged 2.2% per annum. Because of modest population growth this is only slightly below the overall growth rate. However, between 1992 and 2018 (also 26 years), GDP per capita growth averaged just 1.6% per annum. REPLY FROM BREXIT FACTS4EU.ORG TEAM - Good point John and we looked at that too. In the end we went with what MPs are most familiar with. As readers know, we have huge amounts of information. It's always difficult to pick the ones which resonate. You are quite right, though, that GDP per capita is an important measure, as a result of the massive increase in UK population annually which Theresa May has been unable or unwilling to control during her 6 years as Home Secretary and 2.5 years as PM. FROM THE BREXIT FACTS4EU.ORG TEAM - Adam, we have asked you politely to stop posting adverts to other sites. Please desist or we will have to block you permanently. I know you don't like links to other sites but I thought this would be an important message to get out to Tory Party members reading this site. 'It might not work BUT only 9000 more Tory members need to sign this petition to force the party management and the 1922 committee to even more action.